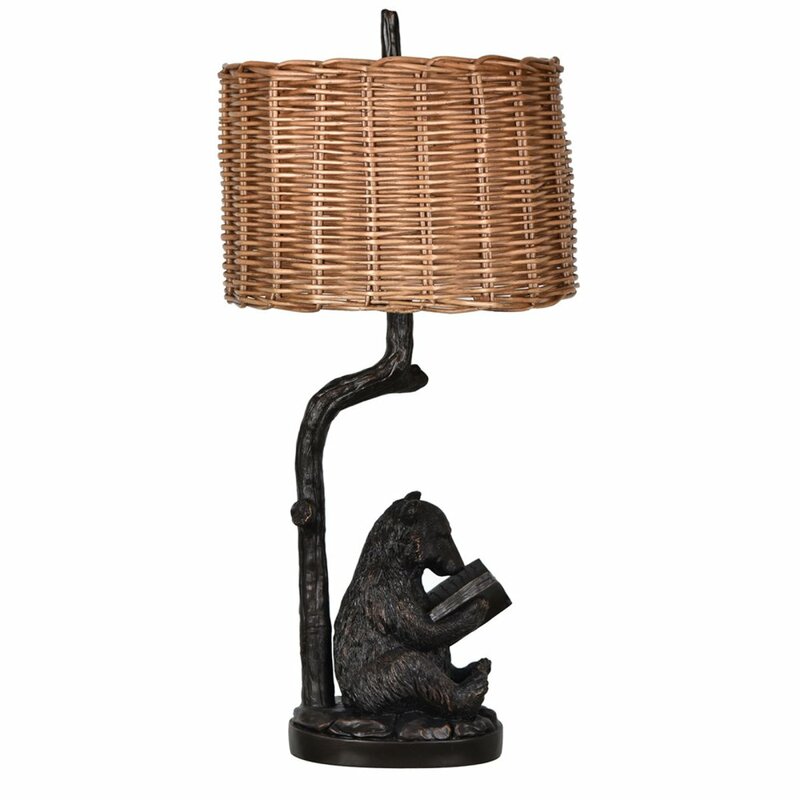 The Bear Knowledge table lamp by the Crestview Collection is a wonderful addition to any rustic home. Made of cast resin with a dark bronze finish, it comes with a natural rattan shade. He is 33.25 in high and the shade is 16.5 in diameter.